It Leonel Messi's magic for Argentina to qualified for the 2018 World Cup. It started from opening 2-0 defeat at home to Ecuador, to the 3-1 away win against the same Ecuador in their final game, It seams that Argentina were about missing on this years world cup until the Lion of the tribe of Argentina rose to the big occasion with his hat-trick on the final game of the qualifiers to secure a place in the World Cup finals. it was drama all the way in a fraught qualifying campaign as Argentina flirted dangerously with missing out on a first World Cup since 1970. Three coaches were used, and just 19 goals scored in 18 rounds. Argentina is placed In Group D, joined by Iceland, Nigeria, and a star studded Croatia lead by Luka Modric and Ivan Rakitic at the helm. Argentina will kick off their world cup campaign on 16th of June against Iceland. days later they take On Croatian on 21st t and end their group stage on the 26th against Nigeria. 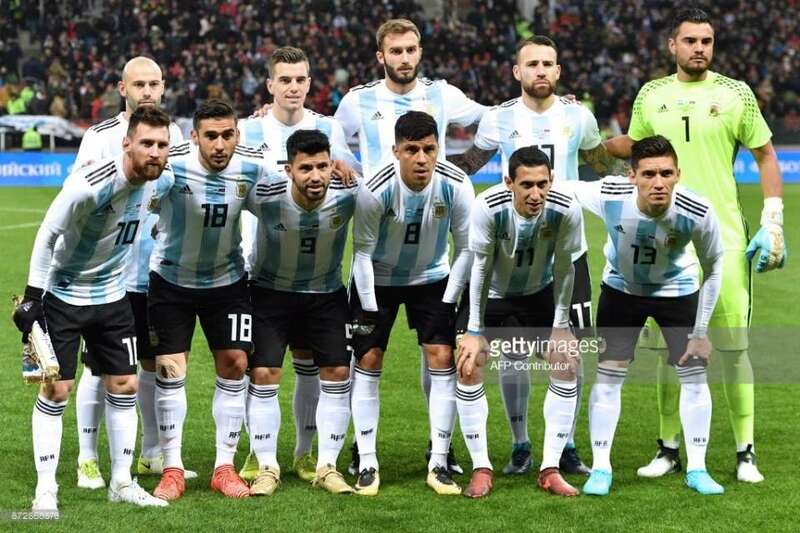 In the eight games he missed, Argentina accumulated just seven points. In the 10 in which he played, they managed 21. Seldom has a team been so dependent on one player as Argentina are on Lionel Messi. Angel Di Maria was one of only two players to start in all 18 South American rounds. Used in a variety of different positions, he had an uneven campaign, but free to float in the last round he combined well with Messi. Although not always convincing, Nicolas Otamendi will hope to take his improved club form with Manchester City into the national team. FORWARDS: Lionel Messi (Barcelona), Gonzalo Higuain, Paulo Dybala ( Juventus), Sergio Aguero (Manchester City). FW: Paulo Dybala, Lionel Messi, Sergio Aguero.